"Always", "Boxer", "I Only Have Eyes," "Latch," "Yellow"
Cool, "unplugged" versions of vintage to current pop/rock/folk. 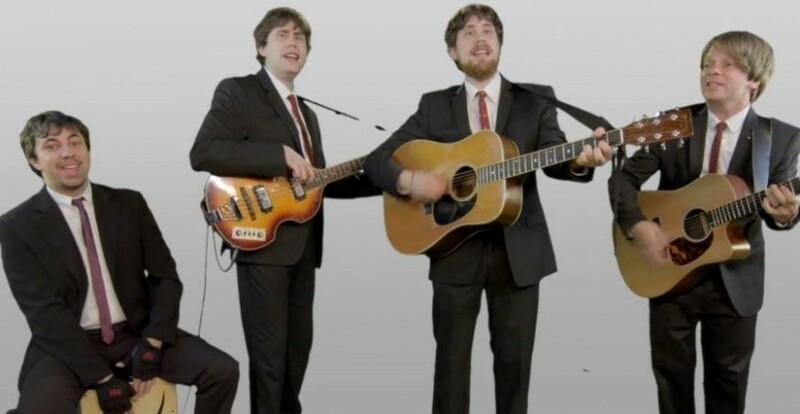 think Beatles meet Mumford and Sons meet Coldplay. The acoustic guitars and great harmonies (the lead singers are identical twins) will have your guests singing, dancing, and really listening. (They will also be able to hear each other talk!) Songs from Duke Ellington to Elvis to Elton John to John Mayer and Pharrell. Can perform as a trio, quartet, or more, depending on your needs. 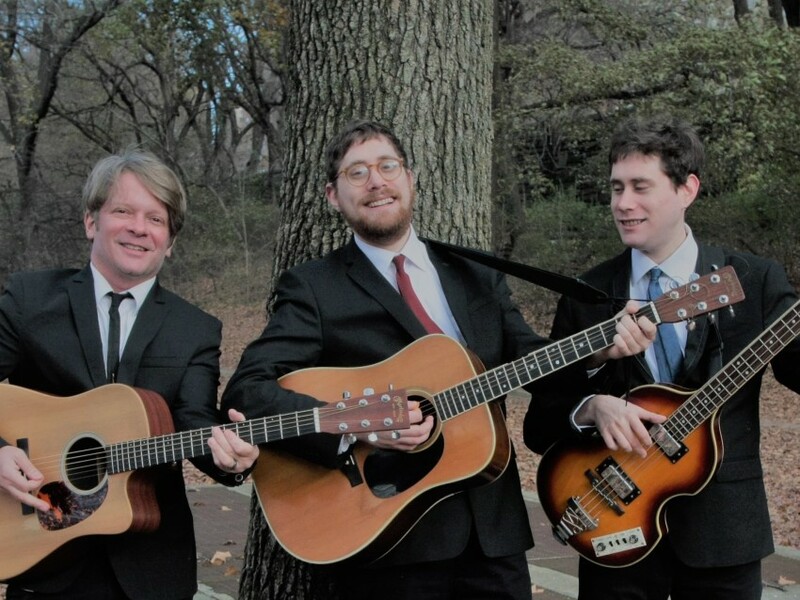 Wedding ceremonies, Bar/Bat Mitzvah services and receptions, parties of all kinds- The NY Troubadours bring a cool, earth-friendly dimension to your event. The NY Troubadours Filled Our Daughter’s Wedding With Love! 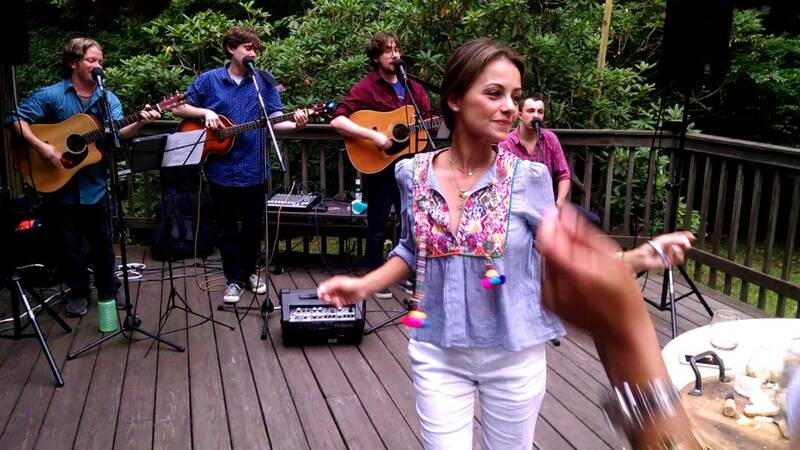 The NY Troubadours played for our daughter's August, 2015 wedding in a remote location in Stokes State Forest, NJ. They arrived early and set up quickly. They played and sang the extensive prearranged playlist of oldies that really got our guests hopping. We received many complements from our guests regarding their performance. We would recommend them to anyone needing sweetly harmonizing professionals that can share their love of music with a wide ranging audience of different ages and backgrounds. We loved them! If you want a wide selection of music, gorgeous harmonies, great musicianship, and people easy and fun to work with, check out the New York Troubadours! They provided the ceremonial and celebratory music for our son's bar mitzvah, and it was the number one thing people talked about during and after the party. The music in the service was uplifting and inviting and the party music was strikingly good. Our guests actually applauded the band after many of the songs. 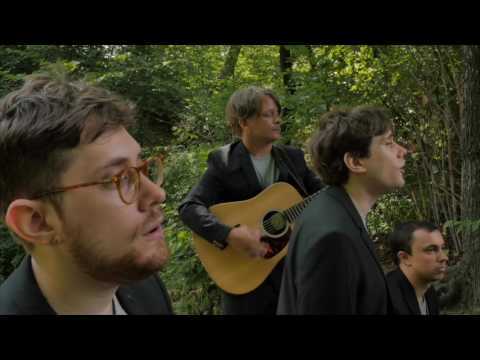 If guests would like to be able to hear each other as well as the band, The NY Troubadours provide a kinder, gentler alternative to loud and frenetic party music. We can sound like Simon and Garfunkel or the Stones, or Coldplay, and our personalities are friendly and mellow. Songs range from 1920s and 30s jazz to Elvis to current indie pop, with lots of classics of the 60s and 70s. Twin lead singers Sam and Nick have a fabulous vocal blend. The drummer generally plays cajon (box brum), resulting in a small footprint and very a portable band, comfortable in intimate parties, outdoor settings, and just about any imaginable venue. We are appreciated by audiences of all ages, and clients are welcome to request their favorite songs. We are a very low footprint group, requiring about 12' X 6' for the quartet, less for the trio. We have a sound system that is adequate for approximately 300 guests. We can perform outdoors with or without amplification.